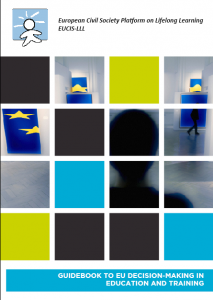 The European Civil Society Platform on Lifelong Learning has released its ‘Guidebook to EU Decision-Making in Education and Training’ for July 2015. The platform works towards promoting a vision of equity, social cohesion, and active citizenship in lifelong learning. The guide serves as a tool for better understanding the complexity of Europe and a call for a better dialogue between citizens and institutions in the field of education and training. It provides a coherent overview of the structure of EU institutes and bodies, as well as the EU’s role in policy-making for education. To learn more about what actors are involved, what the objectives are, and the initiatives taken to achieve these aims, read the guide here.